There’s a lot more to saké—the legendary Japanese rice wine—than most drinkers realize. 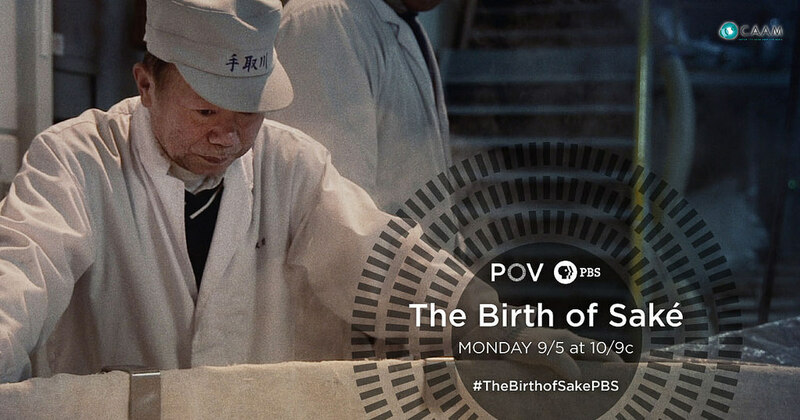 Japanese-American filmmaker Erik Shirai goes inside the Yoshida Brewery, a 144-year-old family-owned company in northern Japan, to capture the traditional saké-making process in "The Birth of Saké," which earned him a Special Jury Mention for Best New Documentary Director at the 2015 Tribeca Film Festival. Now in its 29th season, POV is American television’s longest-running independent documentary series and the recipient of a 2013 MacArthur Foundation Award for Creative and Effective Institutions. And not just any child. The employees who bring Yoshida’s traditional saké to life pamper it from inception. All told, Yoshida’s employees spend about half a year in nearly monastic seclusion creating their world-renowned product. While saké is often experienced as a warmed drink in the West, its northern Japanese birthplace is cold and forlorn. Shirai’s cinematic opening shots of snow and icy surf, accompanied by sparse traditional music, introduce a film that, like its subject, is unrushed, deeply reflective and rich with interesting symmetries. Inside the brewery, for example, great clouds of welcoming steam rise above the white rice used to make the saké—mirroring the snow and ice just beyond the windows. As the rice cools it is treated with a special mold, koji-kin, which begins the two-stage fermentation process. Yoshida does not use the automated methods employed by many of its competitors. Like a fine musical instrument, its product is handmade. Making saké the traditional way, says 68-year-old brewmaster Teruyuki Yamamoto, requires knowledge and intuition. These qualities are passed from generation to generation—in the Yoshida company’s case from Yamamoto to Yasuyuki Yoshida, the company’s 27-year-old sixth-generation heir. 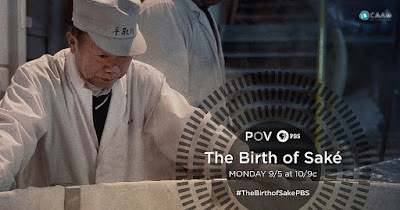 The film, two years in the making, is the first in-depth examination of the Yoshida operation and a rare look at the intense and relatively unknown (even within Japan) process of traditional saké making. Gaining access was not immediate or easy. After a long and exhaustive permissions process, the company’s owners allowed Shirai and producer Masako Tsumura to live at the brewery. Waking daily at 4:00 a.m., they were fully immersed and embedded with the workers and ate breakfast, lunch and dinner with them. Shirai and Tsumura captured not only the subtle art of making saké, but the sacrifices made by Yoshida’s employees. Being separated from loved ones is the hardest aspect of the process, though there are times of levity, including time spent watching sumo wrestling. “They really aren’t human!” an employee laughs as he and colleagues enjoy a televised match. There are also group sing-alongs and talk of girlfriends left behind. But this is serious and exacting work. The slightest variation in the process, even a minor temperature shift, can negatively alter the final product. The company is also under external pressure from a dwindling saké market. Consumption is down in Japan and worldwide, according to the film, while beer, whiskey and other types of alcoholic drinks have made significant inroads. This change is reflected in one crucial statistic: In the early 20th century there were 4,600 saké breweries in Japan. Now there are around 1,000. Yasuyuki Yoshida, the young brewmaster, comes across as a happy warrior. After spending six months making saké, he spends the other half-year traveling the world to promote the fruits of his company’s labor. He finds a divided marketplace. The latter are highly pleased when Yoshida presents them with daiginyo, his brewery’s top-of-the line traditional saké.